TwitPic is indeed a top Twitter feature. It allows you to upload photos to your Twitter stream. You can post pictures from your computer to Twitter at the TwitPic website. You can also capture Twitter-worthy moments on your phone. Photo lovers everywhere are seizing the opportunity! TwitPic subjects are all over the place. TwitPic allows you to share the big game, the family outing, or your latest culinary creation. TwitPic, however, is not just a mundane micro-blogging tool. TwitPic is a virtual photo powerhouse! 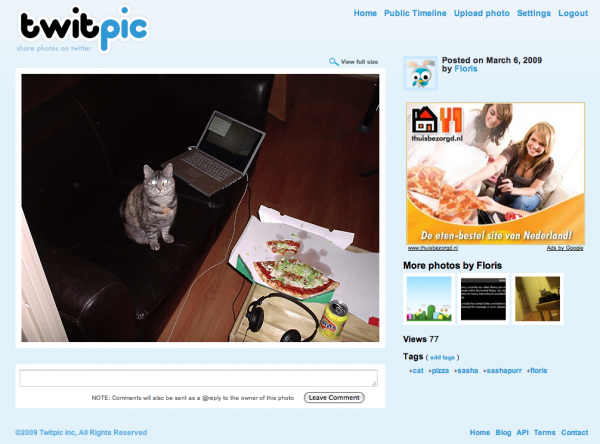 On March 12, TwitPic’s creator, Noah Everett, confirmed that it was the favorite pick of over 6000 users per day. Since news networks count among these followers, TwitPic is no doubt a photographer’s dream. Shutterbugs, be aware, however, that TwitPic does experience some occasional “bugs” and issues. Most problems stem from the platform being unable to withstand the high traffic. TwitPic has crashed twice in recent months. The famous ferry picture during the Hudson River plane crash temporarily disabled TwitPic. Over 7000 individuals and several news networks vied to view this photo. TwitPic also crashed as recently as April 1. Intensive interest in the G20 protests in London caused some strife for TwitPic. TwitPic is certainly experiencing some growing pains due to its ever growing popularity. Ongoing improvements are in the works. 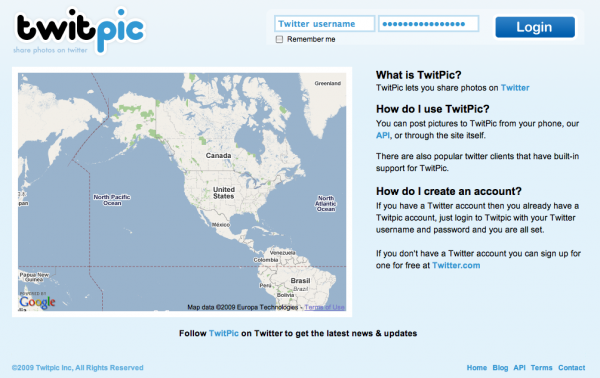 On March 24, TwitPic was moved to a new data center. This move put TwitPic on a new hardware platform with a far greater capacity. TwitPic may still resemble a photo op “in progress.” But what an opportunity it is – for TwitPic and its users! TwitPic allows us to show photos, share moments, and spread awareness. I use TwitPic to post anti-bullying graphics to fight against school bullying. TwitPic can capture a moment in time. TwitPic can sometimes make a world of difference!